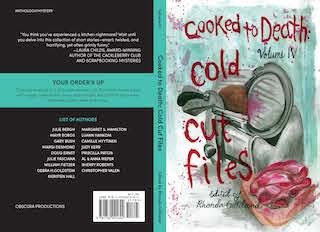 "Cooked to Death IV: Cold Cut Files" - Anthology - AVAILABLE NOW! "Chewy Beats Crunchy" is my story - just one of seventeen in this collection. I'm happy to be part of a great group of authors who contributed to this food-themed anthology. The project was created and edited by Rhonda Gillialand, a fellow Sisters in Crime member. "They say revenge is a dish best served cold. But these stories sizzle with anger, resentment, envy, & murder. No comfort food here, just seventeen cold cases and more." Rhonda Gilliland, Editor. 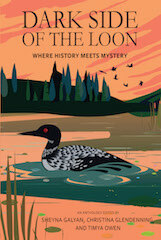 Dark Side of the Loon: Where History Meets Mystery - Anthology - AVAILABLE NOW! "Ruby Red Heist" is my story - just one of the nineteen contained in this amazing collection. I am lucky to have been chosen to participate in this project and have loved every moment of the process. The idea was the brainchild of Timya Owen, the president of the Twin Cities Chapter of Sisters in Crime. Timya has put her heart and soul…and lots of elbow grease…into making this project a success. The anthology is now in its third print run! It has received great reviews not just locally (Twin Cities Pioneer Press), but nationally, as well! Betty Webb wrote a great review in Mystery Scene Magazine, Issue #155 - check it out! Please buy the book! "Stamped Unnatural" is my first attempt at writing a short story AND my first attempt at writing historical fiction. 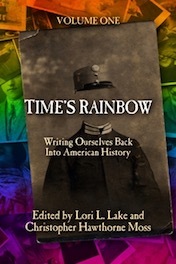 I am honored to be part of the first book in the "Time's Rainbow Series," edited by Lori. L. Lake and Christopher Hawthorne Moss. Writing ourselves back into American history is a powerful experience. The book is published through LaunchPoint Press and IS available for purchase. Visit amazon.com and buy one…or two!